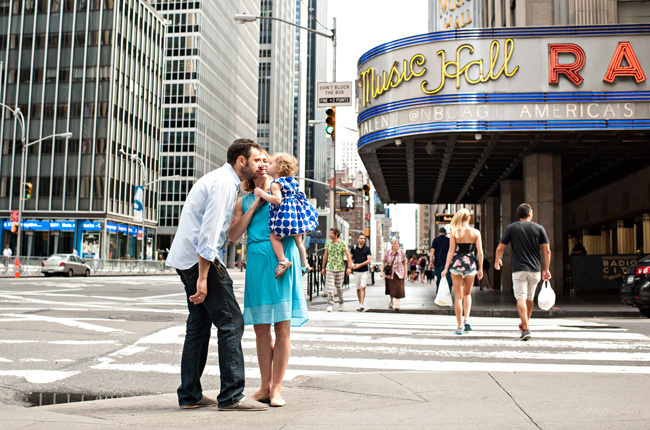 Where do you photograph the family of a Rockette and Midtown chef? 6th Avenue, baby. When you're looking for something other than a park, the Manhattan streets offer a particularly cool backdrop.